I don’t get back to Philadelphia much, except for weddings and funerals,” Kenny Barron said as he greeted the audience who had come to hear he, Kiyoshi Kitagawa (bass), and (also from Philadelphia) Johnathan Blake (drums) perform at the Annenberg Center, the evening of October 20, 2012. It seems to me that what is still living of the previous generations of jazz heritance does not get to Philadelphia much. We must therefore thank the Annenberg Center For The Performing Arts for giving Philadelphia a homecoming to one of its own jazz heroes. 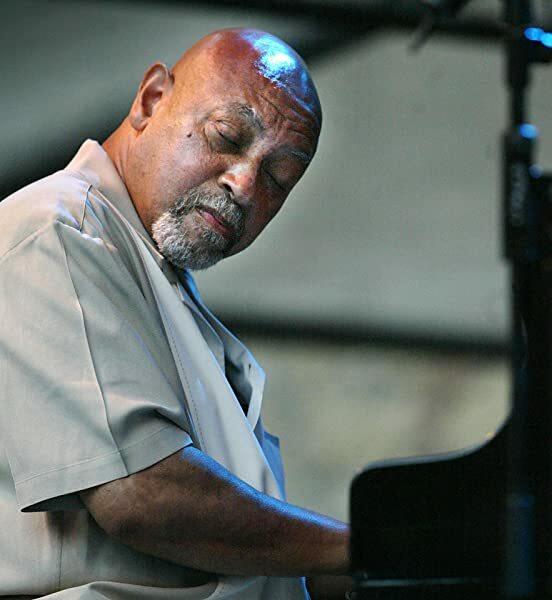 The Kenny Barron Trio gave us a combination of standards, original Barron compositions, and a piece for solo jazz piano composed by Eubie Blake. They took their time with the rhythms of Time, in every tempo, ballad to be-bop, swing to salsa; and ripeness was all. Johnathan Blake’s percussive textures alternately caressed and cajoled, commented and clarified, and just plain sustained piano and bass on a straight-a-head-stream-of-the beat-consciousness. Kiyoshi Kitagawa’s phrasing and bass sound radiated and gently heated the music with a private sun of sumptuous aural light. As for the sweet and savory Kenny Barron himself: I thought of a statement by Miles Davis, that the effect of a master improviser upon melody and harmony, cadence and measure, is like the effect of a master chef’s choice of ingredients in a meal she prepares. The Annenberg Center For The Performing Arts continues its 2012 program of bringing not just good but great jazz to Philadelphia, when it hosts the magnificent and marvelous jazz vocalist (think Ella Fitzgerald reborn) Dianne Reeves, who will perform her “Christmas Time Is Here” program on December 1, 2012, beginning at 8:00 PM.